I have some good news and some bad news about my public niche site. The bad news is that I got hit with a Google penalty on March 9th. The good news is that I figured out what happened and the site recovered 100% of its rankings on March 12th! When the penalty hit (and yes it was a penalty, not the “Google dance”), I had no idea why. However, after a few days of thinking everything through, I was able to narrow it down, take action, and see the penalty lifted. I want to cover what happened here in detail to provide a big lesson learned for me, and hopefully to save you from making the same mistake. What Happened to My Niche Site? As shared in previous posts, my niche site (bestsurvivalknifeguide.com) was off to a great start…it was ranking in Google and making money. 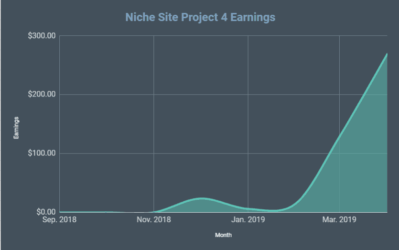 Then I wrote a post on March 7th about how to build links for niche sites and starting building a few links to my niche site. I had made just 7 or 8 blog comments on relevant blogs and assigned my Virtual Assistant to start submitting my site to a few web directories. Then on March 9th my site dropped in Google to position 237…what?! My heart sank. This is not good. At first, I thought maybe it was just the Google dance (new sites tend to bounce up and down in Google when they are brand new). However, after a day of dropped rankings, I could tell it was a penalty for 2 reasons: 1. When I searched for my site “brand” name: – best survival knife guide – (without quotes) in Google, my site was not on the first couple of pages. 2. The page ranking at position 237 was not my homepage, but a subpage. And so knowing this was a Google penalty, I immediately thought it must be related to the links that I had just started building. The timing seemed to indicate that as soon as I started building links, my site got hit. (However, this assumption turned out to be false as I explain later on). I immediately asked my VA to stop building any more directory links. In fact, I asked him to try and remove any links that he had built. I figured that if I could remove the links and start fresh again, my rankings should come back. However, with many of the directory links, this is not always possible. And to be honest, most of the directory links had not even been approved yet (some can take weeks to get approved). What Caused the Google Penalty? The more I thought about it, the less convinced I was that the links had anything to do with it at all. You see, I followed the EXACT same link building technique on my last niche site; including the EXACT same directories, and that site is sitting happily at #1 in Google right now. I was not out building spammy links, but just a handful of genuine blog comments and a few web directory links (not hundreds or thousands). 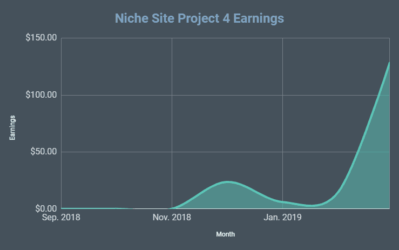 So, I started to compare what I had done with my survival knife site and my previous niche sites or blogs I have built that are ranking well in Google. The theme is the same as other sites I've built. I know that changing themes can sometimes impact SEO, but this theme is a quality theme that I designed. The quality content is there. The keyword research is there. Then it hit me. The ONE thing that I had done different with this niche site than any other site I've built, is the use of Amazon Associate links! All of my sites have always utilized Google Adsense, so I'm comfortable with that process and really know the ins and outs there. However, Amazon is a new beast for me. So, I took a look at my site and how I was using the Amazon affiliate links. The more I looked, the more I figured this must indeed be the issue. You see in my ambition to provide an awesome site (which I think I have), I created a massive comparison chart for about 50 different survival knives. To make money, I had inserted my Amazon affiliate link on EACH of these knife listings not once..but TWICE! (Once on the name of the knife, and once on the pictures of the knives). So just with that chart alone, I had about 100 Amazon affiliate links on my home page! This is what caused the penalty. And I can prove it. At about noon on March 12th I decided to remove all the Amazon affiliate links from my homepage. I figured Google was penalizing me for having too much advertising on my page. I should also point out that all of these links were “cloaked” affiliate links. So they were redirects, rather than direct affiliate links. So, cloaking for SEO purposes doesn't work. So, at noon, all the links were gone. I checked my niche site again at about 9pm again. All my rankings had returned!! So, within about 8 or 9 hours Google had removed the penalty it had placed, once I removed my affiliate links…woohoo!! But hopefully my mistake here will help prevent YOU from making a similar mistake. Can I Use Amazon Links Now? I am just happy to have my site back (as you can imagine). I'm going to just focus on ranking my site over the next month or so. However, as it sits now, it won't be making much money; because I've removed most of the affiliate links. So, can I put affiliate links back on the site? I don't think affiliate links by themselves are bad. However, when you have a massive number like I did, they are bad. So, I may have to get creative in how to monetize this site because my original plan with a huge buyers matrix is not working. (Well actually it was working great, but Google didn't like all the affiliate links). Option 1: I could remove the comparison matrix completely, and just have a few affiliate links for the actual knife reviews I did on the homepage. I don't like this idea because the comparison matrix is really what makes my site stand out, and I put a lot of time into it. Option 2: I could remove the comparison matrix from the homepage, and just LINK to it on a subpage. So, the user would have to click a link to be taken to the comparison matrix on another page. I could make this page no-index/no-follow so that Google doesn't rank that page. Then I likely could add back all my affiliate links without having it penalize the rest of my site. Option 3: I could decrease the size of the matrix to 10 or 20 knives and only use 1 affiliate link on each knife. I suspect there is some magic number I could find here for amount of content vs. number of affiliate links to prevent from getting a penalty. Perhaps I could even keep the matrix as is if I only had one affiliate link on each. Option 4: I could write reviews on every knife on the list, and then have the comparison matrix link to the reviews; rather than affiliate links. The review pages would obviously then have a couple of affiliate links. Option 6: I could give up on Amazon, and go with other monetization methods. There are likely several other options that I could consider as well. If you have any additional ideas, I'm all ears. I'm still very excited about the future of this niche site. My in-depth keyword research, has proven to be accurate. There is a great market for survival knives. In fact, between March 1st and March 9th, the site made me $42.69! And what's interesting is that I made $0 from March 10th to March 12th. This is the time my site was not ranking anywhere in Google, but all my affiliate links were still in place. Just goes to show that most of the purchases have been made by people that are not readers of this blog. Most of the money has come from a few knife sales; which is pretty cool! However, I don't expect to make much more the rest of this month; which is just fine. I want to develop a solid plan for moving forward. Overall, my focus is going to be just getting the site ranked higher in Google. As I do, there are clearly several options that I choose from to monetize this site. So, stick around…I'm sure there will be more interesting developments down the road. Also, if you have any thoughts or questions, please leave a comment below. I look forward to the discussion. I quickly thinked to the Google dance too! I agree that affiliate links aren’t bad, maybe the challenge is to find a good balance between content and aff.links. IMHO the option 5 (the matrix into the ebook) gives you the freedom to do what you want with your aff.links. I also like the idea of an e-book :). Sounds great. Spencer, great case study you are doing but you cannot put Amazon affiliate links in ebooks. You also can’t put them in emails either. You can only put Amazon affiliate links on web properties. Amazon wants to be able to track where ALL links are coming from to make sure affiliates are abiding with the rules. Thank you Rhonda! I’ve updated my post based on this information. Option 5 I crossed out as ebooks and emails are not allowed with Amazon affiliate links. Thanks! 1) What is the best way to add affiliate links to a site? If you have multiple product pages on a site and you have affiliate links added, will this by itself cause you to be penalized? 2) Should ALL affiliate links be cloaked? 3) Will you automatically be penalized with even 1 affiliate link on a page? 1. Clearly I don’t know..lol. Actually using 5 or 6 affiliates links on a page is not going to get you penalized; so having product pages with affiliate links is just fine. My issue was just SO MANY links. 2. I wouldn’t worry about cloaking. And to clarify, I’m just referring to redirecting affiliate links. I did it, and it didn’t help. 3. Nope, see answer 1. How about using a more tech based solution. When writing your post and linking the image or knife name you switch your wordpress input field into HTML mode and modify your link from <a href=”[amazon-link]”>Awesome Survival Knife</a> to <a class=”affiliate-link” href=”#” data-href=”[amazon-link]”>Awesome Survival Knife</a>. I was wondering Spencer, your test proved that too many (100+) cloaked aff. links got you penalised. But how do you know it was the affiliate links, and not the fact they were cloaked that got you the penalty? Just wondering as it wasn’t clear to me. I don’t think they were cloaked. They aren’t cloaked now either. 18 links on the home page of a WP site “with 9 posts” of around 400 words each will not get you penalized. I use about 3- 4 per page with Easy Azon, No Adsense arount text even. But was penalized. Start to wondering about my problem being different, maybe links. I wonder if it was just because they were affiliate links, or maybe just because they were cloaked? In my experience it’s because they were affiliate links, and amazon affiliate links are easy for google to see. Cloaking has never helped me….just slowed me down making the links. Good question Jeff. And to clarify, there are a couple of definitions of “cloaked”. My links were just redirects, so nothing shady. I don’t think that was the issue, but its certainly something I may try out…can’t hurt. Awesome read as usual. I might throw another suggestion into the mix and I think it might work out very well. Just a thought.. Thanks for the info, very interesting.. Adding an opt in list should definitely be a part of the approach too, even if you can’t send Amazon traffic through email, I’m sure there are a ton of related products within this niche – i.e. since a number of the visitors may be survivalist types, or off-the-griders, any time you get a big political or economic event there’ll almost certainly be a way to provide some value and content to help those folks out. And who knows, if the site really takes off, you may even be able to find a way to become a reseller of the top 10 knives or something like that and take a bigger cut. Thanks for keeping us informed with your niche site, it is really helpful. Lol that what I said in previous comments…too many amazon links. You can make a best 3 knife post and stick it on the front page as a sticky. Three pictures in one row with a link to “check the price” below each. Then above or below the top three knives make one link going to amazon saying “click here to view all the top knives”. Out of curiosity, were your affiliate links set as ‘nofollow’? I have read that you are supposed to do that, and so I do – but I am wondering if that doesn’t make a difference when you have too many things on 1 page. Another thought – could you put the matrix on another page and include it with an iframe? Would Google know the difference? Let me clarify – I know they were cloaked, but were the cloaked links nofollow? Yes, they were all “nofollow” affiliate links. I don’t want to go down the iframe route…I’ll figure something out. I am using iframes in my comparison chart… which makes me curious as I value your opinion. Why didn’t you want to use iframes? I used EasyAzon to create the affiliate links, but it may have been just as fast to do iframes for the chart itself. Nothing wrong with that. Glad your site rebounded and great info about the links. Now I’m wondering how many is too many! Good to see you recovered Spencer. FWIW, I’d definitely go for Option 5 but remember Google can index content within PDFs so block access to it by Googlebot with your robots.txt … juuuuust in case. google can read pdfs for sure. you can search google for pdfs alone. My first thought was to do the subpage option. Or maybe break out the charts into meaningful segments. Say knives with blades 4-6 inches, 6-8 inches, etc. Or other types of breakdowns. And then move those different groups to subpages with links from the main page? Just a few ideas I had. But great to learn from this situation. Actually, that’s a pretty good idea. I could segment the chart and have 4 or 5 charts on different pages…all linked to from the homepage. Certainly could be a good option. Thanks Steve! You just gave me a big lesson. I had no idea about this affiliate link penalty. Infact I made a website which targets my country traffic only. I am using affiliate links but in your case it was too high 100. I will keep these things in mind. Thanks for posting this. Really interesting, especially how quickly you got your ranking returned after removing the links. I was going to suggest your option 4 of having individual product / review pages. It’s more work but with all that fresh content it would help in making your site more authoritative at the same time. I see lots of people seem to use cloaking or redirects rather than using direct affiliate links but what are the reasons or advantageous to this? Why not use your direct affiliate link? Either way, I may eventually be doing reviews on all the knives…may just take some time to get there. Supposedly one reason to use redirects/cloaks is to prevent Google from knowing that you have tons of affiliate links. Obviously that doesn’t work. I see no reason not to just use the regular affiliate link. Well the one reason is that the links look nicer/shorter. I do that with my affiliate links here on my blog using the plugin Pretty Links. Good stuff Spencer. Quick question on adsense sites. How long do you wait before placing adsense on a site? Do you place them immediately or do you wait until you ranking in the top 10 of google? Do google penalize for placing adsense soon after creating a site? I usually wait a month or so to place adsense ads on a new site. But I’ve also placed adsense on brand new sites and have never been penalized for doing so. Thx for sharing this. I recently added about 10 Amazon links on a recent post on my other blog. Do you have an idea on how many Amazon links you’ll use for future posts? For other posts, I would think 7 or 8 is perhaps the max I would go…but 10 is maybe okay. I really don’t know the magic number. Why didn’t you make amazon affiliate links nofollow? I noticed this issue when I entered to your website first time. They were all nofollow links on the comparison matrix. There may have been a couple others that were not. Hope it does…best of luck Greg! With a new site, is there a certain amount of time you recommend that someone wait to put up Adsense? I usually wait a few weeks to a month. Found it! I wanted to ask this question but was sure someone had asked it! I guess it shows google that you care about people reading your content and want them to get value from it and that your after thought is to make money from it. I used LTP to check my new sites rankings and checked yours at the same time, it was at about 280 and I had the ‘shocked’ emotion. May be the issue (flag/filter etc) was caused by a very unnatural number of outbound links from one page? i.e. is this really an “amazon affiliate” issue? With such a young site it makes sense that googlebot would fine it odd to have so many links. If your up for it why not try 25 (say) links from that page and see if the same happens? Use the top 25 best seller in amazon for example to chose the ones to link from. So similar to your option 3. but leave all the data there. Maybe have a single link to buy on amazon? Feel free to tweet Matt :). I agree that your option is a good one…and perhaps it was so many outbound links; not that it was affiliate links. That’s a good point. Although, lots of other pages/site have lists of the top 100 blogs or whatever, and those pages often tend to do very well. I agree with Steve. I have seen penalties on sites that have just too many links on one or more pages, nothing to do with redirecting links, or Amazon. But number of links for the amount of text on the page and maybe also the size of the site. Who really knows, but that is what I think. Great info for your readers. Im actually kind of surprised they restored your ranking so quickly… thats pretty fast. As far as what you should do… for now, I would put an “editor’s pick” underneath it… but make them click the link to find out what your pick is. Curiosity should get anyone interested to click… and if so, you hooked them with the amazon cookie. Even if they don’t buy your recommendation, you have the credit. Lucky guy I must say! :)) Spencer, I’m glad you find out what was the problem and very fast! I was thinking that maybe onsite duplicated content is hitting you, like somebody mentioned in comments. I started looking at my websites to check for onsite duplication, and found that all of them have it.. I still don’t understand how to fix this and is it really bad.. my SIte is sitting on the second and third pages for a few keywords. And yesterday I discovered that I’m ranking 24 for some really competitive keyword, so maybe there is nothing to worry about duplicated content on site. Andrew…there is no duplicate content. What you are seeing on these websites that check for duplication is not correct. They are seeing tags/categories/archives pages as all being duplicate content. Obviously that’s not the case, you wrote an article once. Google understands the structure of wordpress and does not count this as duplicate content. So don’t worry about it. Well Spencer, over 100 affiliate links is indeed pretty cool 🙂 Glad that your site regained positions quickly! Usually penalties last for much longer, but those are penalties for SEO activities that google doesn’t like. Another option would be using direct links to amazon pages with products, and having amazon hidden cookie setup on your blog that’s injected onto visitor’s comp anyway, so the purchase he makes is still credited to you. Just need to make sure amazon is not restricting this practice. Instead of dumping the grid, why not put a search box, like Amazon Custom Search plugin in above or beside the grid and change the search box language to something like, “check for current sales on your favorite here.” or something like that. Between the direct search sales, a few true affiliate links and the Amazon cookie, aren’t you still maximizing your opportunity? I’ll have to look into that…I’m loving all the options you guys are coming up with…thank you!! I’m glad you were able to get your rankings back! Just wanted to let you know, that I believe it’s against Amazon’s terms of service to use Amazon affiliate links in ebooks – I think you’re only allowed to use them on your website. I’m not 100% sure though, so you might want to check that out. Ah…good point. I will indeed have to see if its against Amazon TOS…I want to stay on their good side for sure. There is simple way to include Amazon affiliate links in your e-book and don’t break any (if any) Amazon TOS. You will simply include cloaked (redirect) links in your e-book. They lead back to your website which then redirects to Amazon. 1. you know exactly how many times your links are clicked – your website tracks it. So does Amazon, but it’s better to have analytics under your control. 2. In case Amazon links change you can easily update redirects on your website. So the e-book never gets out of sync. 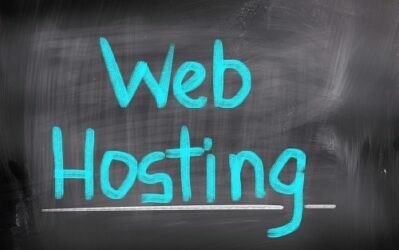 It will behave like an outpost that always leads back to your website. Imagine Amazon stops selling your affiliate product. Or later you find a better supplier. You simply update your redirect link on your website without any need to update the e-book. Updating e-book may even be impossible after it has been downloaded hundreds or thousands of times. I have a site in the electronics niche and I also recently built some big comparison tables (one per brand). Each table is on a different page. Each table has about 10 products and 2 affiliate links per product, so 20 links per table. However, this has not hurt my rankings. My site is on page 2 and has stayed there. – Keep 1 aff. link per product; just make it clear, like a “Buy now button”. I think the proportion of people trying to click on the image will be negligeable if you have a clear call-to-action. – Have between 40 and 50 knifes in your table, thus keeping you number of aff. links to 40-50. You must also solve the paradox of choice problem (see the jam study): the more choices you have, the less likely your readers will be able to decide which knife to buy. However, you do need a good amount of knifes since your readers will be filtering based on characteristics (so you want a big enough database to make filtering worth it). Final advice: put the affiliate links back progressively (10 per week for example). Awesome tips and advice Romain! I’m sure many others reading besides me with get some pointers from this. Great to hear that you are successfully using up to 20 links per table. I may reduce the size of my matrix a bit and only use one link…great advice. I have a fraction of the knowledge you do in niche sites and that’s why I read every post on your blog but this is an idea that I’ve used. I can’t prove that it works like you could prove taking them away worked. I don’t know if that would help but it’s something that I try and do (sometimes if I remember). Very interesting. Would love to know the directories you are submitting to OR even just why you chose them – are you sharing this somewhere? I have my VA working on a list I am developing and it seems to be working. I like option 2 and 3 – they seem to make the most sense to me without getting radical. In option 3 for example I think the difference between 20 and 50 may be all you need to fly under the radar. Would be easy to check. I wonder if you can have more affiliate links on a page that has a lot of content? I have a review page of a product with 9 Amazon links and it ranks well. But I also have over 1200 words and several informational links too. Too bad Google can’t see the benefits of the affiliate links. If I were a consumer and going to the table on your site, I’d want to be able to click away to buy the knife that interested me. yeah you could include the e book as a free option as an opt in and label it the free guide to the best survival knife. Absolutely ridiculous and laughable! It’s not characteristic of me to criticize, but I just have to voice my opinion regardless of how it is perceived. Fact: The affiliate links had nothing to do with the penalty. It’s just a misconception on your part. What then was the culprit? The backlinks! Note: This comment is based on my experience while attempting to rank a sizable number of niche sites. I beg to differ Charley. Google most certainly could have crawled my site after 9 hours. In fact, Google is MUCH faster than that, and you know it. My posts on NichePursuits are crawled and indexed within minutes of being posted; others posts on twitter/facebook etc are crawled much faster. So, 9 hours in my opinion is plenty of time. Secondly, it wasn’t the backlinks that I asked my VA to remove. Because he didn’t have a chance to actually remove them all yet; in fact its possible he didn’t remove any (still waiting on a report from him). Third, I have the exact same links pointing to other niche sites, and they are ranking number 1. Oh and Fourth point why you might be wrong and my assumption correct, MANY others have experienced the same thing with Amazon affiliate links that I just laid out. Many of those people have commented here. Your deductions are plausible enough to be believed but not enough to eradicate doubt. Let me point out your errors again. 1. You are talking about new pages, not already indexed pages. For pages that are already in Google’s index, it takes an average of four days for Google to revisit them and reindex their content. However, pages on older and established websites oftentimes get crawled and reindexed every 24 hours. Your site isn’t old and established, so your homepage will be reindexed by Google within 2 (minimum) or more days, not 9 hours, lol. Add a word to your niche site’s homepage, e.g. Kindle. Search for “site:bestsurvivalknifeguide.com kindle” in Google everyday and note how many days it will take to see a search result from your site for that query. 3. Google is unpredictable. Two different websites having the same kind of backlinks can behave differently in the search results. 4. Those who had a similar experience as you and reached the same conclusion as you did are probably uninformed. “…The rank of a document may change over time due, for example, to changes in the document itself, the links pointing to the document, or documents with links to the document (sometimes referred to as “linking documents”). These changes may be the result of legitimate modifications or rank-modifying spamming. The rank of the document before the changes may be referred to as the “old rank” and the rank of the document after the changes may be referred to as the “target rank.” The rank transition function may generate a “transition rank” that is interposed between the old rank and the target rank. The transition rank may cause a time-based delay response, a negative response, a random response, and/or an unexpected response to occur during the transition from the old rank to the target rank…” (from latest Google anti-spam patent, Aug14th, 2012). Basically, as a response to your seo efforts, Google will randomly assign a fake rank (transition rank), before letting your site deserve its true final position in SERPs, just to get you perplexed. Even positive changes you make, may have a strong negative result in SERPs because in case of an impatient spammer, this is bound to spark a reaction. From this moment on, Google has its all eyes on your moves. Your actions during transition rank, will be the decisive element whether your site deserves the target (new) rank. Great to hear your site is back in business. If I were you, I would go with option four. Not only would you receive a lot more visits from the search engines, but people will enjoy reading a review on each knife rather than be brought to an Amazon page. I run a few Amazon review sites myself. I’m building them all up to be authority style Amazon sites, with a 75/25 review/information post ratio. Amazon sales are great. If you pick the right products to review, you will almost always rank on the first/second page of Google for the product name itself (first page for “PRODUCT NAME review”). Typically I go with 4 to 5 affiliate links per 400 to 500 word article. 2 on images and 2-3 in content. Thanks for the input Ryan! I agree that long term, option 4 is a great strategy. Priscilla wrote a good comment. My vote is Option 4 – I think it would serve you well! Thanks for your post, really appreciate your transparency. Thanks for sharing the story . Interestingly one of our niche sites also a knife review site had completely removed from Google index . We also were making some money with the site. Google had sent a message in webmaster resource center about some issue before they removed the site from the index. It was about breaking the quality guidelines . 2. Added command in robot.txt file not to index any image as they were from Amazon. After review the site , they have removed the manual penalty . A great relief. Spencer, this really is an excellent blog. I’m learning a lot. For what it’s worth I have an old comparison site (2010!) that has just dropped to page two of Google last week – probably because I haven’t worked on it for ages! But …….. the home page has zero affiliate links and doesn’t have any content below the fold. Links from page one go to internal pages that compare brands and also pages that compare models within the same brand. I try to have pages of reviews of models/brands and appropriate articles linking back to the comparison pages and the home page. On the “where to buy” column on the comparison pages I compare Amazon with other affilaite merchants selling the same specific product so lots of affiliate links going out on those pages. Amazon always wins out as far as sales are concerned. I know this page jumping means a lot of clicking by the visitor which I accept is not supposed to be good for sales but it certainly helps my bounce rate for the home page which is currently 25%. I also accept that a lot of what I’ve said may be dificult to adopt for your particular niche. I had the same exact thing happen to my largest niche site which exploded to 10k uniques within 30 days of launching it. It soon got penalized and fell to about 600 uniques a month. Every 60 days the site will regain it’s rank for 1 week where it will get 300+ visitors a day and then it will fall back into obscurity overnight. Every site since, that’s had amazon links (about 3 dozen) have all been penalized. Amazon is a competitor to Google and one that they are most scared of, so it wouldn’t be out of the question that they are using this tactic to hurt Amazon’s business. It’s much easier to pick on Amazon affiliates than go after Amazon. I stepped out of the Niche site business all together after this and started my own web marketing company. Much much better business.Playing the Google game is not a long term strategy. I even tell clients this, and we supplement with PPC, banner ads etc. I wouldn’t say that Google hates Amazon. They love Amazon in fact. If they hated them so much than they wouldn’t have them listed #1 for almost all product names. If anything, Google is downgrading your site because it’s appearing to them as a huge site with only one goal, making an affiliate sale. I run Amazon websites and have great rankings when I target low competition products. The key is 1 affiliate link max per 100 words. That must have been scary at first to see your site tank. In light of your reveal I have removed affiliate links for now, and focus on ranking. Some of the ideas that have been thrown out are great. You just give them a taste of the comparison to chart and then give it all to them if they opt in. Look forward to upcoming updates. Great read, Spencer. I was doing a good search for your keyword the other day and your site couldn’t be found, so that must have been during your penalty box phase. Good to see you’re back on the field. I personally think a good option might be to combine both your #4 & #5 ideas. It may turn out to be a lot more work than you first bargained for doing that, but, in Big G’s eyes, I think it may be more to their liking if you had a separate review for each knife on your list, or possibly break them down into small categories. That could give you more unique articles, which is something that Google tends to favor. Everything being equal re. quality, originality, etc., more is better. In your individual reviews, you could then use pieces of your matrix in the form of a clickable image to show were this knife or that knife falls compared to others… just a thought. I mentioned this a bit on Skype with you but thought it’d add value to share it here. So the primary problem was all of the links on the home page itself. I believe you said there were about 50 links. Note: Not saying you were thinking this but I’m just saying the above because so many people think it was an issue. The best thing I suggest is just option 2 (move the matrix to a sub page on your navigation menu). The comparison grid as I like to call them that I use on my websites are always set up as “my keyword comparison” for the title of the page for SEO purposes. So in your case it’d be like “Survival Knife Comparison” generally as was the case with the sites I’ve implemented this page on there is typically some keyword search volume for a term like “my keyword comparison” anyway so that’s the extra bonus. I’ve never started a new site and put like 50+ Amazon affiliate links on one page before (let alone the home page) so it’s entirely possible that the issue is the huge amount of links all on the home page – and – not having them spread out over say various blog posts. If you instead had for instance 10 of the most recent blog posts displaying on the home page of your site and each one of those had 5 – 8 affiliate links from Amazon that won’t be a problem (that’s how a lot of my sites would end up being). It’s just all of them in one piece of content – the page you’re using for your home page that is the most likely culprit. Move it to a sub page as you mentioned in option 2, call it “Survival Knife Comparison” and you shouldn’t have any problems even if you had the 50 affiliate links. Also – turn off the cloaking perhaps having it on is a red flag. I like your advice about moving the entire matrix off the homepage…this may take care of it. I will also likely stop cloaking my links; obviously didn’t help any. As I mentionned earlier about my electronics niche site, my 20-links comparison tables are all on separate pages, not on the homepage (in fact I have almost no affiliate links on my home page), which is probably why I wasn’t hurt by the Google penalty. Spencer – congrats on getting your rankings back, what plugin did you use to create the comparison chart. I used the TablePress plugin to create the table. I don’t think you can definitively say that the affiliate links are what caused your site to crash. Could be any number of reasons or could just be the google dance. Correlation does not equal causation. Your sample size is too small to make an inference that this one deference tanked your rankings. You would have to build multiple niche sites, selling the knives and try different things on each one and see what causes rises and falls in the search engine. Then you would need to test your theory over several months before you could come to a sure conclusion. Just my thoughts. Thanks for the case study however. True. However, based on my experience with hundreds of niche sites…and the results I saw; this is a very probable cause. But you are correct that I can’t be 100% sure. Can you advise what other penalties may be hitting my site? I’ve had exactly what you describe but not due to affiliate links. It must be something else and I’ve spent months trying to find out the cause! Any ideas are appreciated! 1. I disagree with the individual above criticizing Spencer because most of the links Spencer was working on were to blogs and directories. Most of the directory submissions (I gather) based on my experience takes weeks or months before they even post the link. So, I am not really buying the criticism and feel that it is definitely Amazon related. 2. I would like to echo the call for a list of directories Spencer is submitting to, if he is so inclined. I have been scouring and looking and having some trouble. Most of the ones I find cost money, require a reciprocal link or take months to review. Spencer, are you going to post your list? If not, that is cool. But, just looking for a definitive answer. 3. With respect to the e-book, I am pretty sure embedded amazon links are a no-no there. But, I am not an expert. I mainly base this on stuff I have read regarding emails. Amazon will not let you embed an affiliate link directly back to Amazon in an email. But you are allowed to embed a link to a page or blog post where you spotlight or feature a product that does have the affiliate link. In reference to #2, I got the links from PointBlankSEO: https://www.nichepursuits.com/pointblankseo. Essentially I took the 50 or so with the highest page rank and that were free. Perhaps I will post in the future. I’m not trying to hold out on anyone, just didn’t think it was a big deal. This links will have minimal impact on rankings…these are weak links. More powerful links will come later. To make it more interactive, you can integrate a feature where users can build their own comparisons. Of course, if you put your links back just to be sure and your site tanks again , even the doubting Thomas would be convinced… but obviously if i were you i would not risk that, especially since this is a public case study. I’m not here to prove that affiliate links was the issue; I’m here to rank my site in Google. So not a chance I’m putting my site back the way it was :). And yes, the Google update from march 6th and 7th is well known and reported on. Too many closely-clustered affiliate links, perhaps. But most likely it was too many external links to the same domain. I am sure it would rank differently with a number of different affiliate links. But I don’t think even THAT was the real problem – I think there wasn’t enough content and too many closely-packed links. It was just a big clump of links and looked “wrong” to Google. If you’re into experimentation, I’m curious if this would work: keep your 100 links (or however many it is exactly). But instead of a table with line-by-line links, put a greater amount of text in between each line of links (or even between each link). How? I would perhaps put product description text, or even just the product names. If I were to do this experiment, I would try once by commenting out the “extra” text. See how it works. Then, try by enclosing the “extra” text in a div and apply a class that has display: none. You never know until you try – and it would be interesting to see what happens. The weirdest and most “unlikely” experiments sometimes can yield interesting results. The sad thing is that there is really no way to prove anything when it comes to SEO. I don’t understand how you came to all these conclusions after just a couple days. With a new site like you have made, I believe it takes Google quite awhile to get through the data. For example, you’re saying the penalty was both applied and removed over the span of three days. In my experience, it takes three days just for the penalty to really set in, and it takes weeks if not months, after you “fixed” the problem. Since Google is just a software program, it takes quite a bit of time to analyze all of the data. Obviously, I wouldn’t put 50 or 100 of any types of links on my homepage, especially with a new site like that. I believe your site is going through “the google dance.” Think about this for a second. When I make a new squidoo lens, if I check keyword rankings, it will be anywhere from top 200 up to 500 in google, which would indicate a penalty. However, once I build a few links to that page, it will start ranking. It’s as if all squidoo and web 2.0 pages are “penalized” until they get some link juice. I don’t think the situation would be any different with the type of website you’re making. Lol this is why I don’t check rankings often. When you fixate on the rankings, you might end up doing something irraitonal, like asking for all of the built links to be removed, which could potentially start another problem. I really, really doubt that there was ever a penalty because there just was not enough time for all of that to happen. When a new website is first crawled, Googlebot sticks around for a couple days waiting to see if you’re going to feed it some content. Around the time when this supposedly happened, I believe is quite awhile after Googlebot first indexed the site. It’s possible that Googlebot was crawling the site every day, because obviously a penalty won’t be applied or removed if Googlebot hasn’t even been to the site recently. That’s why when you get a manual penalty and you finally get it revoked, Google will send you a message telling you that it could take weeks for your rankings to go back to normal, or for the “changes” to take effect. Even if Googlebot was crawling your website every hour, I really don’t think a penalty was what happened. If you want to do an experiment, use a brand new website as a guinea pig, add 100 affiliate links to the homepage and see if the same thing happens. Also, I think Amazon Associates will ban your account if you are cloaking links. I think it was a couple “terms and conditions” updates ago that they said your affiliate links should clearly show the user where they’re going. I think Dave over at zenduck actually had his account banned for this exact reason. I think they specifically said to not cloak your affiliate links. Also, everything I said above is based on my own personal experience and not speculation. I hope I helped, and good luck with this case study! Much love. Exactly what I tried to explain in my comments above. You’ve done a better job. Julian – you are entitled to your opinion, and so am I. But I can tell you that after I’ve built over 300 niche websites in the past couple of years, this was NOT a google dance. Google has evolved alot over the past couple of years, and the Google dance is basically non-existent. Anyway, I’ll leave it at that. I’m just happy my site is ranking well. If I never had a penalty, I don’t care…my site is back. But for the reasons specified, I’m 99.9% sure it did have a penalty and was removed. When I first saw this comparison chart and all the links back to Amz, I thought this seemed very “thin” even with the 2000 plus words due to the size of the chart. A visual inspection would turn up some content in the beginning and then this huge Affiliate link chart with some more content after. The reviewer probably wouldn’t make it to the bottom of the page and just mark it “thin”. Although it does offer something different (the chart), it’s still like spinning the Amazon content into a chart. So, it’s their content, re-written in your own words in a chart format. To make it appeal to Google and withstand all animals that start with “P”, you should give each knife it’s own page and add user interaction. Let the users build onto your content by leaving comments for each knife and use a star voting system to determine the best knives or something like that. Let the real knife experts tell you what’s the best survival knife. Great blog. I’ve been reading you and Chris G. and Pat for a while now. Thanks for sharing this, great article. I think option 4 is a good strategy. And then inside your review page, you can put the affiliate link to the image and to a CTA button. Or one of them could be a button that says “See what other say” and then link them to the customer review page with your affiliate link on amazon. like this one for example “http://www.amazon.com/Black-Ultimate-Survival-Knife-Compass/product-reviews/B000AP4Y16/ref=dp_top_cm_cr_acr_txt?ie=UTF8&showViewpoints=1”. I think having people see what other people experience about the product you are reviewing will increase your conversion rate. Definitely option 4. Think long term on this site. Love the comparison matrix and you should keep it. Write reviews and add the review page link to the matrix as you go. Make sure to throw in some crappy knives as well and review appropriately. I would not cloak links. Amazon has a trust factor associated with it. People will feel safe when thinking if they should click. Also, make sure you have a few article-only pages with NO affiliate links so I doesn’t seem like your only purpose is to send people to another site (Amazon). I think that cloaking has had a bigger effect than you might think. Chris says that Google can still read it and Java based re-directs. But, that doesn’t mean that it’s ok to do it! Matt Cutts has a video about cloaking on their site. If you haven’t watched it, maybe you should. THEY DON’T LIKE IT! Keeps us up to date on this Spencer, and hoping you start really tearing it up. I’m sure someone has already mentioned it, but keep the matrix on the home page. Make each specific knife in the matrix link to a product review page of that knife. Add one or two affiliate links from the product review page. Then you would have 50 product review pages for your site and that would add massive authority. That was option 4 from your post and I think that is the perfect answer. Thanks Dr. Rod, should be a fun ride! I would go with option 4 because it means more content and searches for your site.lt’s the best strategy if you are looking to build an authority site. I came across this before when I was a member over at the keyword academy. A few guys in the forums had a similar problem with a theme that showed quite a few amazon links on the homepage. Exactly the same results as you when they removed (or decreased) the links if I remember correctly. TKA wouldn’t be a bad place to connect with a few Amazon experts by the way Spencer, there were a couple of big earners that were Amazon affiliates in the forum when I was there. Thanks for mentioning that others have experienced a similar penalty with too many affiliate links. I am sure I am repeating someone else’s response here as you have so many. When you first made your site public, I saw the table you created and thought that looked pretty cool. I had never seen that done in a table before, so I have replicated it. but as I have had a penalty before for amazon links, so I split my tables up to 5 items per post now, seems to be alright. I was wondering about about creating a separate site that would not rely on ranking or content but it would be more of a catalog for my products that I could tie in with my main site somehow. and there I will use the tables or something like WPZonebuilder. any ideas on this would be great . Instead of a separate catalog site; why not try option 2 I mentioned in the article. Essentially have a separate page that is noindex/nofollow with your products there. That might work. Wow! When I had this page loaded there was 1 comment. Left the room for a while to adjust the babies cot (she’s starting to stand up and may fall cos the deck was quite high if your curious why. lol) and when I came back all hell had broken loose after I made my post. I’m almost positive that putting Amazon links in Ebooks or something on a PDF site is against Amazons TOS. With regards to the site being a public test site and repeating the process (or not) is of course your own decision, if it tanks permanently, at least it is early days right? (Sorry if it has been going for a while, new here! :-P). The question is, is it worth the link bait IF you prove it conclusively Spencer? If you were to go for it, how about a slow buildup of links until you hit the penalty threshold? So easy to ask somebody else to take the risks, sorry Spencer! Ha! Ha! I will be adding links back, but hope to never find the threshold…sorry :). I let someone else try that! It’s a real shame that Google doesn’t want hard working people making money! I agree with Julian above! The time period is far too short for any penalty to be applied ‘and’ lifted. Seriously, Ask Google how long it takes to recover from a penalty and while they will not be able to give you a definitive answer the suggested period will start at ‘weeks’. What were you thinking of Spencer? Putting all those cloaked links on one page – especially the homepage?? …and especially on Amazon links??? Good job Amazon didn’t find out! I’m thinking some homework is due!! (with the greatest of respect). I think you probably were down-ranked (due to cloaking) but I think it was all within the dance… especially on a new site! I learned many years ago that you never cloak on a homepage and in fact, you don’t need to!! Bottom line: Cloaking is dodgy!! Again to clarify for everyone. There are 2 different definitions of “cloaked” links. I was using redirects, which are not against google tos or Amazons (you can do some searching if you want). Other “cloaked” links are more than just redirects, and these ARE against Google/Amazons Tos…I was not using these. Also, there are hundreds and maybe thousands of different types of penalties. A spammy backlinking penalty for example would indeed takes weeks to recover from. But a small penalty due to too many affiliate links? Obviously not very long. My opinion – there are differing degrees of penalties with Panda and Penguin being bigger and harder to recover from. Smaller penalties are easy to recover from with a simple tweak. Overall, even if you don’t agree with me (and its totally fine); hopefully this post has made you think about your business a bit. Only Google knows for sure…so we are all doing our best to make a judgement call. I felt like my call was pretty well supported. I agree with your notion on cloaking. I forgot too add this in my below comment. In general a normal redirect cloak is fine, however, having more than a couple of “cloaked” links on a single page may be over doing it in my opinion. I guess it is purely due to the fact that it makes things look a little un-natural. I noticed your rankings were gone during that period and then saw them come bounce back again yesterday. Good news on recovering. I’d definately agree on the cause of the penalty, Although I have never recieved a penalty for excessive amounts of Amazon links, I have however made sure not too over do it. I have a current niche site, about 6 months old, that ranks and earns extremely well which uses 2 adsense units and 4 amazon links per page, 3 of the links are images and the other is a css button. (about 25 different pages with no less than 1000 words of content). The Amazon links are not cloaked, they are just plain affiliate links and have not affected rankings at all. So if you, or anyone else here, ever needs some sort of numbers in regards to avoiding penalties due to Amazon links, the above numbers to work fine. On another not, the link cloaking would have added to the penalty as well. Look forward to watching your rankings increase some more. Maybe you could add a “best of” matrix” in your home with your 5 best knives for exemple, and a link “browse the complete matrix” which links to your no-index subpage ? – now I am cloaking AND make the links nofollow/noindex with Pretty links Lite plugin. With both of these tactics, I never got penalized (yet ;-)). All the best and Just Do It. For the record, I had two sites effected. One came back on it’s own without any change, the second is still effected but is doing much better than it was a week ago. My theory is it’s a content to advertising ratio penalty, not exclusive to Adsense or Amazon, and I agree re: there are many different types of penalties. It’s more than possible to recover after just a few days. Hi Spencer, I am in favor of Marty & Charley here… The march 6 update is what I think is the culprit here. I also got a couple of sites that lost rankings (no results for brand name either), however I just recovered rankings for 1 site yesterday (13th) & have observed many webmasters experiencing the same. Lost rankings & recovery. I think March 6 & 9th was just the day for Google to test out their new panda/penguin update before rolling out the actual one over the weekend. I really don’t think it was your affiliate links, pretty confident about this. I think you may have had the site reported to google for trying to game the system…. thoughts? Nope, this wasn’t a manual penalty. (A manual penalty doesn’t get removed that quickly). I’m too lazy to read all these comments so I hope I’m not simply rehashing. Pure speculation based on my experiences. Bottom line, too many affiliate links compared to the number of links to other websites. Cloaking with redirects has hurt me in the past as well. I don’t bother with the redirects any more, no matter how ugly the link is. What a joy kill to get hit so early on in the process. More incredible I think, is how you were able to come back – in only 8 or so hours after removing the Amazon Links. I really appreciate you taking the time to go through the entire process with all of us (especially back linking pros/cons). I have picked up several ideas already on how to monetize a bit differently and spread things around. Also, have you considered testing the redirect method some more before writing off its SEO capacities? I think redirects are still fine. I personally think it was the Large number of affiliate links, not the redirects. But that would require more testing to know for sure. What do you use for tracking of your rankings? I have Market Samurai and free trial of seomoz. Both shows new rankings once a week. You see them obviously in the real time. I like the option 4. Or just keep the number of knives down – people may feel overwhelmed. Apple/Samsung both won with #1 product, when Nokia with dozens went down. Long tail rank tracking. The missing piece if the puzzle. Looking forward to that. Any clues as to a timescale? I have pondered if the following would work with affiliate links, and if it would avoid a penalty. This way, you can avoid the A tag, and hence no outgoing links to follow. However, this could be risky as it could be seen as manipulation. As I read your post I was thinking of your option #4 then noticed you had already thought of it. Anyway,been following your blog for a while now and I am really glad you overcome the penalty. That’s awesome Pedro that your site is doing so well that you found using Long Tail Pro…congrats! I would like to add that my Amazon account was recently terminated with over $1000 in commission. I didn’t do anything black hat. I had already made over $10,000 in past 18 months. 1. I made a large sale through e-mail for the first time. 2. I used pretty links to only cloak the Amazon homepage. Product links were not cloaked. When I read through the linking requirements guidelines it makes no mention about the e-mail part.. So I don’t really know. Also, they don’t respond to their e-mails. As a previous commented showed, the Amazon agreement does forbid email marketing as shown under rule 6 here: https://affiliate-program.amazon.com/gp/associates/help/operating/participation?ie=UTF8&pf_rd_t=501&ref_=amb_link_353005802_8&pf_rd_m=ATVPDKIKX0DER&pf_rd_p=&pf_rd_s=assoc-center-1&pf_rd_r=&pf_rd_i=assoc_operating. (I didn’t know this until the comment was made here today). II say option 4. It’s a great idea and your using internal linking which is good for SEO and page views. What about making the product matrix one giant image file that is clickable to go to Amazon? I loved the table … But have you thought of breaking it up to 4 or 5 pages…. By type of knife or size of knife? Then link those pages to your homepage — that could have the first 20 or 30 words of each review (or the most current reviews), Adsense, and some other google friendly stuff. That way 20 knives on a page is only 40 links… 10 or so would probably be better .. And could be balanced out with text in your table. Yes, that’s a good idea. is filled with a lot of affiliate links but he’s still able to rank highly in google. Probably you can add this to your case study as well. Interesting. I notice 2 differences with his page and mine. 1. None of the links are redirects like I had (“cloaks”). 2. The links are broken up with content between. My links were all together in one large table. One more thing I think should be considered is domain authority. Domains with high authority can get away with a lot more. May I ask whether your links were follow or do follow? Couldn’t we put as many affiliate links in if they are no followed? All my affiliate links are no follow. Finally, how many affiliate links do you think are too many per post or thousand words? Good to know. I generally put at post 2-3 affiliate links per 1,000-2,000 words. Usually it’s just 1 to 2. How many is optimal do you think per 1,500 word article? I don’t know the optimal. But I certainly think that 5 or 6 affiliate links would be fine in a 1500 word article and probably even more. Dude I think this is probably why one of my niche sites got smacked down. I’m gonna try taking all the amazon links out to see if I get my rankings back. Only thing is that it’s been over 6 months now so it might be to late, but I’ll let ya know what happens. Joey, I hope you get your rankings back as well…thanks for stopping by! Wow..your are genius. My site has been hit by Google by couple of times and most of time I just failed to recognize what caused it. I really feel that I need to take some lessons from you. All the best with your niche site. Thanks Spencer. I have learned quite a lot, both from reading your account of the problem and from reading all the comments. Thanks for the regular progress reports too. Site currently ranks on #11 !!! Well done Spencer. EXACT same thing happened to me 2 months ago. I had a 18k search keyword niche website ranking 3rd. After I added around 10-20 amazon links it went down like a sinking ship. I thought it was a backlinking penalty then I though cloaking/redirecting links could be the problem. I uncloaked the links and waited a week, still tanked. So I started fresh, removed all content, amazon links and added new content without any affiliate links. Guess what it came back to number 3 again. Good thing you confirmed it. Btw can adding adsense to a site early also affect rankings? It’s a myth that needs to be busted aswell. Thanks for sharing Syed, and confirming what I and others appear to have experienced. I have not seen the same thing with Adsense. I’ve added adsense to a new site right away; however, with Adsense you are automatically limited in the number of ad units you can use. Also, I never put too many ads above the fold with Adsense. Hi Spencer, glad you manage to fix the problem. Was the whole site penalised or just that page with all the links on? Could you find your other pages in the SERPs when searching for content on those pages? I’m not 100% sure. I haven’t really been getting much traffic to other pages and I haven’t been tracking subpage rankings. thanks for the great post. I have a similar site in Germany on a completely different topic also using wptable and many amazon affiliate links. For a week or so i have been having the same problem as you have. 1. Did you try to remove the cloaking option of the links? I’m not really sure, but i think the drop in rankings started when i started using the cloaking option. 2. Did you try the option in wptable to just show 10 Results of the table at once? This would reduce the total number of affiliate links on your page. I’m glad that i am not the only one having this problem. I’m pretty sure that we can solve this problem together! Perhaps you can put your matrix in a subpage and block it with the robots.txt file. And to keep a link to amazon you can put a random knife image on your sidebar with the rank he has on your matrix. 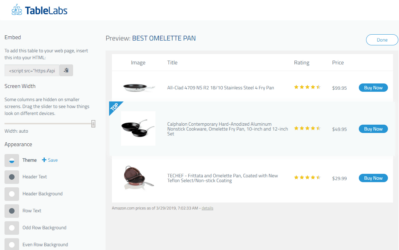 Option 4 – keep the matrix as a pre-selection tool and then internal link to the review pages for the individual items, this gives you more qualified buyers who will then click on your affiliate link on the individual product page through to Amazon. It’s more work, but in effect you will be creating an authority site and you might well get better ranking for your home page with a good internal linking structure – you can even cross link between different products from the same manufacturer on each of the individual product pages. This would be a lot more natural. Perhaps also consider installing the Amazon search bar plugin, this let’s you put your 90 day cookie in their browser, handy for making cross-sell commissions. Out of interest are you using Google analytics? if so that’s the reason that they spotted your affiliate link overload so quickly. I only use Google analytics on my adsense sites (for the approval lift) and use alternatives on my other affiliate sites. Remember as an affiliate you are competing with Amazon for retailers advertising money. Yes, I’m using google analytics. I really think it’d be a shame to not use the matrix you developed that adds a real value to your site. I resonate with the idea of a separate page entirely (that possibly even sits outside your site altogether – opens in a new tab? )…..that can then be as advertising heavy as you like. He got the idea from an Adam Short. Interesting ! It makes sense when you think twice but that’s too bad. Since you removed all your links, I’m looking forward to see how you will manage your monetization. I’m following you with a niche site as weel and after 2 weeks my Google position is 200 something. It could be my KW, my content but I have a lot of Adsense ads … I will try to remove them ans see if it helps. Great post and sorry to hear your Ranking dropped, but great to see you worked out why and got it back! Google always like to throw a spanner (challenge) into the works! I think linking your links to an individual subpage sounds like the answer, but will reduce your click throughs to Amazon which is annoying! I am intrigued how a certain domain coupon code website called Fat Wallet is coping with all it’s links and having no problems with the amount of links on one page?! I use Fat Wallet every time to get a discount from Godaddy and they have tonnes of links! Maybe it’s a time issue on how old the domain is. I’ve put it like this so it doesn’t show as a link or take any of your traffic away! Hope you find the ultimate solution to fixing your links. Great info Spencer. Good to hear that the you fixed the issue quickly, and our excellent adventure continues. It definitely looks like you are correct that the amount of links are the culprit. I agree with Chris above with that having the links of the home page also caused issues. One thing that comes to mind is that I’ve seen a number of Squidoo pages that have tons of link but seem to rank well. So it could be a certain threshold. It’s not only interesting but informative reading through Spencer’s post and all the comments following it. Spencer started this niche site to educate others about building and ranking a site. Whatever may be the reason for the ranking and the subsequent google penalty, it is all part of developer education. I may be sounding sadistic but the fact is, as is evident from the number of comments, the ranking and the subsequent fall in ranking, has turned out to be educative for all those who have been following Spencer. Spencer, perhaps you can divide your chart into several charts that each have a different characteristic: blade length, blade material, multi-tool, etc. So I picked up 2 domains that were dropped recently and I made my first 2 niche sites. After a week one is ranking 15 on google. The other is ranking 92 on google and first page in yahoo and bing. The problem I see is that my homepage is not even ranked on google for the 2nd site and that’s where my keywords are. The contact us and about us pages are the ones ranked in the 90s and they don’t even have the keyword. Could this mean that the domain had been penalized from before? I have yet to start backlinking, but I did notice the website had about 120 backlinks from before. Yes, it could be a penalty. (I don’t know if it was from before or something new). why dont you just make these Amazon affiliate links as no-follow links ? They all were nofollow already. Didn’t matter. Did you check your sitemap? Not sure if it’s important or not, but with my niche site that I’m working on I could not get one of my pages with a comparison matrix to even get indexed in google. I removed the matrix but not the page from the sitemap itself and a few hours later the page got indexed properly. Might be worth checking out. What about using a subdomain for your super chart? Doesn’t Google view that as a separate site? Then it wouldn’t matter if it ranked, you could keep in all the links and keep the ranking of the main site…right? Five days ago I added an Amazon A-STORE in my site by creating a page. I placed the code iFrame of my Amazon A-Store associate id. After 3 days my site dropped from position 1 to 10 of page one Google. Then I changed it to an associate link instead but the rank is still the same. It did not go up. I wonder if that is the cause of it. Reading your post here seems like it is. So I will wait a few days and maybe remove that entirely and think of another way to connect my Amazon A-Store. Does the Amazon A-Store link affect our rankings? If so how do we connect it to our site without being affected? Hope to hear from any answers here. This post is really great! Thanks! Hi Spencer I’m glad that your site went back up to high position. I’ve learned a lot from your post. I’m a newbie and your blog is a big help for my learning process! Thanks! I’ve never used an Amazon A-store before, so I can’t really answer your question. I bet you heard about the upcoming Panda update which is going to happen tomorrow or on Monday, let see how this goes. This post helped save my niche site. Thanks so much for writing it Spencer. In November 2011, I purchased a domain so I could start a small product review type site similar to yours. Back then, you could get by with only a small 400-500 word article on the homepage and 4 or 5 smaller posts. Of course, that’s what I did. The site was ranking in the 20’s for it’s main keyword, even through Penguin. In May of 2012, I decided to do a manual backlink campaign to see if I could push it to the front page of Google. I created links using blog comments (not spammy ones), Web 2.0 sites, article marketing, forum posts, Youtube videos and social marketing. The homepage dropped to 245 and stayed there. I couldn’t figure out what was wrong. I did use the same anchor text a lot so I thought maybe an anchor text penalty. In a desperate attempt to get rankings back, I sent out a bunch of spun junk using AMR with a variety of anchor texts. Bad idea, I know. The site didn’t move. It didn’t go up or down. The site was still making $10 a month on Adsense and getting a few Amazon clicks (no sales) so I renewed the domain in November on the off chance that the rankings came back. After reading your post yesterday, I decided to give this site another look. I saw that it had 3 Amazon ads, 3 Adsense ads, an Adsense link bar and I had embedded a few Amazon links into the lousy 400 word article. I got rid of all advertising on the site, except for one Adsense block located at the bottom of the page in the sidebar and I searched Google for the AMR links and removed as many as I could. I’m proud to say that the homepage was ranking 52 this morning. The first time in about a year that it was ranking better than 245. I’m pretty sure I had a penalty for too many ads on the page. Today I’m going to write up a 1,000 word post for the homepage and I’ll do some keyword research for another 10-15 posts. I’m really excited about this site and I’ll be following along with your niche site project. Nice to see you recovered, Spencer. Even better in some ways, is that you actually pinpointed the cause of the site rankings slump…. That in itself is pure gold, as it will prevent similar ranking slumps on other sites you start up, that could have taken a similar hit without being resolved. I have done multiple affiliate links per unit, though, on a much smaller scale than you have done….which is probably why no penalty was incurred…. True, the “so called” Google dance can knock you off your seat, from time to time…especially if some of our rankings do not settle up near the top of the Google search results, once the dance is over….. This post comes at a great time! My niche “IRA vs 401k Central” is sitting at about No. 300 in Google right now, and I was trying to figure out what I did wrong. It was as high as No. 16 just a few weeks ago. I’m not using Amazon links. But I did go back and take a look. Sure enough: I probably have too many external links on my homepage. At least 4 of them were reciprocal links to blog directories. I want through and made them all nofollow. If that doesn’t change things in a few days I might just try removing them altogether. I also found out yesterday my rank went from 8 to 215. Im really digging the new Header image. It’s quite nice! Do you recommend starting to place links on a new site right away or how long do you give it ‘free time’ before beginning to build links? I wait at least a month. I like to have at least 10 to 15 pieces of solid content up before I really start to build any links. I know my audience would value your work. If you’re even remotely interested, feel free to send me an e mail. Will someone explain what’s the MATRIX? I’m kind lost here. A matrix is just a table/chart. The comparison chart you see on my homepage with all the knives is a matrix. I see your site on page one now, congrats. Yes, last time I checked it was ranking #7 (best survival knife). Nice work Spencer! Yes, I’m seeing it at #7 as well…thanks Jon!! So you think this was an algorithmic penalty, as opposed to a manual penalty that leads to the infamous email of death from google? I’d go with option 4, that would then give you the chance to have landing pages for each knife, potentially rank. I agree, and eventually as the site is successful, I will be writing more knife reviews. When you write more in depth reviews like these, do you actually buy and review the product or do you take other reviews and description and put your spin in them? If the latter, does your review give the impression you have bought and personally reviewed the product? I know this should have no real bearing on rankings etc but am interested how you approach it. Could have a bearing on conversions of course. I’ve hired writers that have used the products many times. Others are obviously just from people that research the product online and write a review based on the info they find. Hi Spencer, thanks for the helpful post! As someone trying to rank several sites containing Amazon Affiliate links this is a great warning. I was wondering if you could disclose any more specifics regarding your link building strategy? The reason I ask is that my newest niche site is up and running, but I’ve been too worried about getting penalized by Google for building the wrong kinds of links to make a start. My site is ranking decently just based on SEO factors, but I’ll need to carefully build some quality links to push it into the top 10. Or perhaps there is some reputable service you can recommend? Sorry if the answer to this question is already covered elsewhere on this site! I can see you at #6 now just below the other niche site, congratulations ! Majestic Seo shows 234 backlinks/ ahrefs 133 for you site mainly from blog comments, so they obviously do still work when they are from relevant pages even with low or no Pr. May I ask how do you find these blogs to post your comment on ? Scrapebox maybe ? Dimitar…thanks! Yes, its been #6 or #7 in Google for a couple of days now! I think those numbers in Majestic and ahrefs are misleading. All I’ve done is what I listed here: https://www.nichepursuits.com/how-to-build-links-for-niche-sites/. I’ve only made about a dozen blog comments and only adding my site to a dozen or so web directories. Sometimes blog comments can appear on multiple pages of blog (like when someone has a sidebar that says “recent comments”). All I did to find blogs to comment on was to use Google. Query something like, your keyword + “leave a comment”. That’s it. How about creating a special offer available only by email send the comparison chart with all affiliate links to all interested people. Wow, there’s like a million comments already! Perhaps you could group the knives and review multiple knives per post (e.g. “Top Ten Survival Knives Under $50) or something like that. Anyways, I’m so stoked about your case study, and I’m trying to find something I’m interested in that could make a profitable niche site too. By the way…on HubPages the TOS require you to have 50 words of content for every Amazon link. Maybe that would be a helpful target to shoot for. Good luck, Spencer! And thanks again for sharing all of this with us. Good to know about the Hubpages TOS that require 50 words of content per amazon affiliate link. Google to know…probably a good number to stick to (at most). Wow. Good to know. I made 150words/amazon link. I guess I could get I little sales at least. I’ve put all the redirects to affiliate links in a separate directory that is disallowed in robots.txt. In addition, all the links are nofollowed. Seems to work fine. Was the affiliate link / penalty thing really a new thing to learn for you? I thought it was common knowledge years ago already. The best lesson learned here is that penalties can, apparently, be quickly removed. Thanks for a useful case study. I don’t think there really is such thing as common knowledge. bad site I know. I started getting interested in building sites in Kuwait, Now I live in vegas and actually began working on the sites. My site also got penalized this 6th March, 2013 . Earlier I had only 3 amazon affiliate link on 400-500 words product description inner page. I increased to 7 affiliate links to increase my conversion and got the penalty now. I have removed 4 extra I added and lets see how it goes in the incoming days. Great study. Quick question: What plugin did you use to create the comparison table for the knives? Hey Spencer, great post and information. Can you share a little more about how you did the brand search, l’ve got a site that l suspect is penalized and would like to try the same exercise. Also regarding the affiliate links, l’m with the other two posters, my suggestion would be to to use an external jQuery script that would add onclick events to each of the images and headings for the price matrix. I simply searched for “best survival knife guide”…this is a term that probably no one else is using on the internet, because its specific to my domain (my brand if you will). When I did that before, it would come back in the first few results. When it was penalized, it did not return my website anywhere. You’re lucky you can still use Amazon. I’m a resident of CT and we we’re kicked out of the program. I was thinking of this penalty, perhaps you could redirect your links through a page on your website and nofollow and noindex that page. It’s not that big of a deal though to have a few affiliate links on your website of course. Just a thought though. 1. Links from directories couldn’t harm a site. 2. Too much links going to a single site will surely harm a site. I am thankful that I discovered your post. At least, this serves as a warning to me especially that I am also thinking of promoting Amazon products at my blog in hopes that I will earn money from the sales. But, I am still wondering if links from directory sites would not really harm my site. I read from other bloggers who said that it would be better not to add my sites to directory links because Google considers the links from the said sites spammy and links from them can cause penalty. I never said that directory links can’t harm your site. Any kind of links (not just directory links) can harm your site if they are spammy and abused. I also own a pr5 directory http://www.mastbusiness.com and I never got penalized by google for selling links for past 6 years. Lot of people still renew their listings in my directory every year and also getting good organic traffic from google (1k per day). So directories are not always bad for links. Links from yahoo directory still worth and counted. I always link other of my sites from my directory and those never got penalty from google. I was just checking your niche site. I saw that finally you put on your homepage a list of 14 knives with their no-follow amazon link, and a link to your full guide, with moree than 48+ knives. I see you left your amazon links there as well, so would you say that 48 is the “magic number”? Or did I miss something. I didn’t see your link to the full guide as a no follow, so I can only assume that google did index that page as well – although I didnt find it on Google…. Nicolas – I made the the page with the full list a page that Google will not index. (Using a plugin called Robots Meta). So, it doesn’t matter if the link is follow or nofollow, the page itself will not be indexed by google. Also there is no magic number of 48; that’s just the full list. I may expand the list to over 100 or more…it doesn’t matter because this page is not indexed by Google at all. Could a site also be penalized by Google for having too many affiliate links if they are from different sources? I use affilate parter, Amazon, Linkshare, Shareasale and manufacturer’s links on the various items I review. Most of these are text link redirects and one image. I usually make both the image and text link redirects because I have quite a few affiliate partners. Rarely will a single review contain more than two of these link sources, or mor ethan 4-5 links or so. All reviews are about 750 words. Glad I came across this entry because I was considering a matrix as well, but now know I’ll so a smaller one on a page and limit it to 3-5 items compared. I use both affiliate links and AdSense to monitize my sites. Never had any problem that I know of. But I really am glad that you were transparent here in telling us about your challenge, and how you thought of a solution to overcome it. That was quick thinking on your part. Thx for sharing what you did, and for revealing how to step safely through another internet marketing minefield. on this subject? I’d be very grateful if you could elaborate a little bit more. Appreciate it! Informative article, thank you. I’ve felt that Amazon gives such a lousy percentage (compared to doing direct affiliate contracts with businesses) that I’ve cut Amazon out of my strategy altogether! To be ultra safe build a new page for every product and make links to these pages from your home or review page but no links to AMZ. Only include one AMZ link from each of your product pages. Don’t monitize your site until you have reached page 1 or you’ll find it more difficult. Wait until you are at least 4th from top before adding links. All my niche content sites are on page 1 top half and I don’t do any backlinking apart from two or three social media sites. It is a shame that sites with good content are being penalised by google because of things like affiliate links. After all, if it wasn’t for all these hard working people creating quality sites at their own expense, google would have nothing to display on their search results. What did you decide on the use of amazon affiliate links on your homepage? Did you write a post on this, I can’t seem to find it. I decided before I started this case study that I would NOT use Adsense (and I did write a post on this); so Amazon seemed like a good fit for my chosen keyword other than adsense. Sorry, my question wasn’t clear. You mentioned your rank dropped because of your use of amazon affiliate links on your front page. I noticed your site now only has about 10 or so knives on the front page. Did that fix the issue? How did you end up putting all of your affiliate links back into your site without Google hitting your again? I happen to be working on a comparison chart as well, although not quite as big. Just to be safe though I’m considering breaking it up with half the chart on my home page and the full chart on a separate page…I noticed that’s what you did on your niche site. My question is did you put a no follow on the link to the page with the full chart? Well, the link isn’t a “nofollow”, but the page with the full-chart is a noindex page, so it really doesn’t matter what the link is – Google won’t index the page. So, affiliate links and cloaking are the reasons. Some of my sites that were hit have cloaked affiliate links (CPA offers), some have a few amazon ones too. So Google wants to put CJ, Peerflye and the like out of business? No, I didn’t have that. Thanks for the informative post. I have a similar but somewhat strange – and sadly unresolved – problem. – Each of these 4 “best of” pages had 20 Amazon links and 2,000 words and all of them have the same backlinks from a respectable PR 3 site (other than that I did not build any links). The issue: After two weeks on the first page, every page on the whole site, including the subpages with 2-3 Amazon links, fell to what felt like page 8 million in Google. Inspired by your post, I reduced the Amazon link count on my 4 previous top ranked pages from 20 to 10. Two days later, 1 of those pages is back on the first page. However – and this is the mystery factor for me – the 3 other pages are still gone from Google. Does anybody have any thoughts on what the reason could be – why has one page recovered but not the 3 others that are identically structured and backlinked? I had the same issue than you, and i recovered by installing follow/nofollow plugin for wordpress as i work with wordpress. Then i created exceptions for business partners. I think that Google triggers penalty at a low number of dofollow affiliate links. That was not the case last year. I have some similar sites using different plugins and had the same thing happen when I turned on the link shortener. The link shortener was not intended to trick Google it was to prevent people from seeing my user id to prevent cookie theft, however I think G saw it as a cloak and my site never recovered. I think yours recovered so quickly because you had unique content for your comparison chart and quickly removed all the links which was the correct thing to do. Just uncloaking them would not have been enough for a quick recovery but removing them seem to fix the problem right away. Thanks for the info. A customer just referred me to your post. My testing also found using affiliate links can drop search rankings. Adding and removing affiliate links resulted in corresponding up and down with search rankings. A “redirect” does not solve the problem, as you found, since Google simply follows the redirect and sees the affiliate link. Adding a “nofollow” tag also proved to be useless since it does not prevent a link from being “followed” – it only says do not count the link for PageRank purposes.. Thanks for sharing this Spencer. I rely on Amazon as I got “banned” from Google Adsense for supposed click fraud 3 years ago. Has anyone ever recovered from a ban? I’d love to try Adsense on my site again. I have a website (best-tire-review dot com) that was getting about 150-200 visits per day and then about 6 days ago, overnight, dropped down to only 20 visits per day. It is an affiliate site and I had about 15 affiliate links on the homepage and about 7 affiliate links per page with about 400 words of text per page (oops). 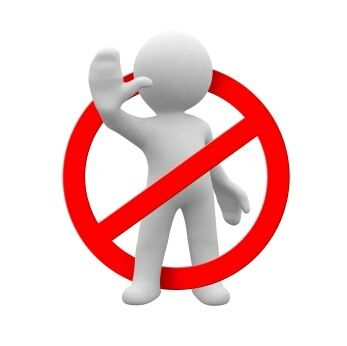 I don’t have rel=’no follow’ on my affiliate links as there are so many across the site. Matt Cutts at Google said this is not the end of the world as Google can tell they are affiliate links and don’t give link juice anyway. I do not have any link re-directs or cloaking as Google can detect these and does not like them. Not sure if maybe the affiliate links are not the problem? Could this be a case of negative SEO? Through Webmaster Tools I see the following domains are linking to me none of which I did. Do any of these look like red flags? Not sure what else the issue could be. Webmaster tools looks clean- no malware or site issues. Google Analytics looks about the same. Still getting traffic from the same sources (almost all Google but just 1/10th the traffic). Any help here would be greatly appreciated. I want to fix this issue and get my traffic back! Great article on affiliate links……..it can be difficult to tell what is acceptable and what isn’t with Google these days……anyone out there running an affiliate site that pulls in a product datafeed (XML maybe) with affiliate links for each product? I’m curious to know how Google is interpreting these types of sites……..big penalty? Not a problem if there’s one affiliate link per page? want enjoyment, since this this website conations genuinely good funny data too. I know one health website that does supplement reviews with no affiliate sales, but sells through his email list. I was in the same shoe like you, with affiliate links. But unfortunately my recovery wasn’t as fast as yours…. Google penalty or loss of rankings can be a huge deal for a business. It is very difficult task to recover from penalties in practice. Any negligence will have deleterious consequences. So we have to do Recovery operation as soon as possible. Spencer, you shared very interesting information and valuable as well. Thanks. It was really very informative post you wrote. Before coming to conclusion, you have mentioned that too many bad links could be the reason for dropping the Google rank. If it is so, then any of your competitor can make ‘n’ numbers of non-removable bad links of your website. this post was written about affiliate links ON your site…not pointing to your site. So, competitors cannot put affiliate links on your site, only you can. Hey Spencer learned a lot from your experience so thanks for sharing mate. You’re right I don’t think Google has any issues with affiliate links but with a large number of affiliate link on your homepage that might have been an issue. I use amazon affiliate links myself, I use them on almost every post I publish on my niche sites, but I do make them appear and flow naturally in the content, and use the Amazon short url. Glad to also read you recovered your rankings. It is really impressive to see a case study like yours. This is getting me more motivated. Which affiliate plugin do you use? Can we use pretty links for amazon affiliate links or not? Are using cloaker or affiliate link plugin against amazon TOS? the new penguin update about affiliates ( penguin kills affiliate website 🙁 and if you are using 5 and more affiliate links, it says Hello to Google. I wanna find new solutions for the conflicts/war affiliate links and google updates. Sure, you can use pretty links if you want (I don’t). I’m not using a cloaker. First, thanks for having this AWESOME resource. You’re quite a hero, for what you do and for posting how you do it for free for everybody to see. Second, this (and all your other NSP articles) are fascinating and inspiring and challenging all at once. I can’t think of anywhere else you can get quality like this (about anything) for free. I have started a product comparison niche with all original content, a similar fact-based easy chart on my home page, with about 25 affiliate links. I had been climbing up rankings (peaked about 110 or so after 2 weeks) and have since dropped completely off radar. So I removed my affiliate links except on the individual review pages, and still nothing. I feel confident I have produced better and more useful content than the top ten competition, and I have done all the appropriate stuff to get indexed (6 pages) and crawled (all 18 pages) by google. And I’m ranking #1 in Yahoo and Bing, for what it’s worth. Any ideas on what else might be going on? I’m lost. They are trying to push their own products for recognition. However, they gave a respite, instead of just linking out to affiliate sites, you can actually place a nofollow tag on them. This will make them not to take into accounts, page rank juice that flows from your blog/site to the affiliate blog. Hi, thanks for info Spencer. code below – will it be counted as 1 or 2 links? Because it makes image and caption both links. I’m currently building my very first niche website using the information from Chris Guthrie, Empire Flippers, & yourself. 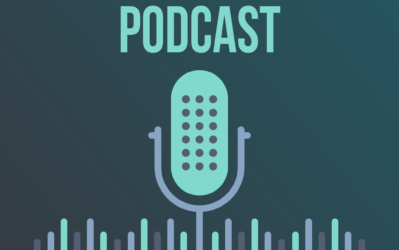 I truly love and follow your podcasts. I expect to become a millionaire next month. (Just kidding). I just wanted to give all of you my thanks. I have been hit and from rank 26, I am no where to be found. This has happened as soon as I put the matrix. Funny enough, I did another website in a completely different niche with a matrix and guess what, I did not get hit. So this is not clear at all. I’ve started a niche amazon affliate site much like yours and I really like the way you have the knives pictured on your homepage. How do you go about making a matrix like that? I used TablePress plugin. But I get this question alot, so I’m planning on writing a post in the next couple of days about it! Awesome! Thank you so much. Would also like to thank you for LTP. This has been by far the best tool I use for research! Wow and here I had an affiliate link for the image, the product AND the customer reviews! That’s all with a comparison chart of 15+ objects. Now I see why I’m ranked 500+. Thanks, would have never guessed. A quick update on my ban. I have removed all my links to amazon. I waited for a while. The ban has now been lifted. I have put back the links and will see what will happen. I have however changed the structure of my links and will see if it is the structure that is being targeted. This could be a long shot, but I may have a part solution to this problem. Just recently I had put an Amazon widget on my dog bone cancer website. Now I didn’t know what ranking I was prior, but the site’s got some fairly unique content and I can’t work out why it’s ranking so poorly. Then I decided to do a copyscape check, just to make sure I hadn’t overlooked any copywriting duplicate issues. To my surprise, I got many results returned from other websites with duplicate HTML code WITHIN the Amazon widget. This could be a major tech issue for Amazon, but copyscape reflected it as duplicate content. I wonder if Google also sees Amazon widgets/links as duplicate content? This could be the reason why Google penalizes the site? Spencer, could it be that you are giving all of your page clout or link juice or whatever it is to amazon for having so many links. It may not be an actual penalty. Google my just think that Amazon is more of an authority. You might try making you links no-follow links. This way, the bots won’t follow them and Google may not give all you link juice to Amazon. Sure, maybe. Call it what you want. When you have too many links to one spot, you site ranks lower. Reduce those links, site goes up in Google. Hi Spencer, I landed on your article as we have a slightly odd problem with affiliate links coming into our site, and was looking it up. Thank you, your insights would be appreciated! Hey Jurga, I think the better approach would be to ask him to make the links no-follow, or update your widget and ask him to replace it. That would make the most sense I think. I think the penalty is coz you have a lot of no follow links (or redirects) in one page? Google doesn’t really like affiliate links and the purpose of cloaking them is for them not to see it.